You’ve got the air conditioner on blast. Your favorite shades are at the ready. An ice coffee is in the cup holder. It’s time for a summer road trip and you’re ready to ride in style. These seven tips for trailering in the heat will help you stock your horse trailer adequately before a summer ride. Here are 10 tips to keep your horse cool during summer travel. It’s not just about inside the trailer! This article addresses a common misconception about tire pressure during the summer, and will help you fill your tires properly at any time of year. When it comes to ventilation, window placement is even more important than the number or type of windows in your horse trailer. They won’t do you any good if they’re not positioned to create a flow of air throughout the trailer. Make sure there are windows at both the front of the trailer and the back. 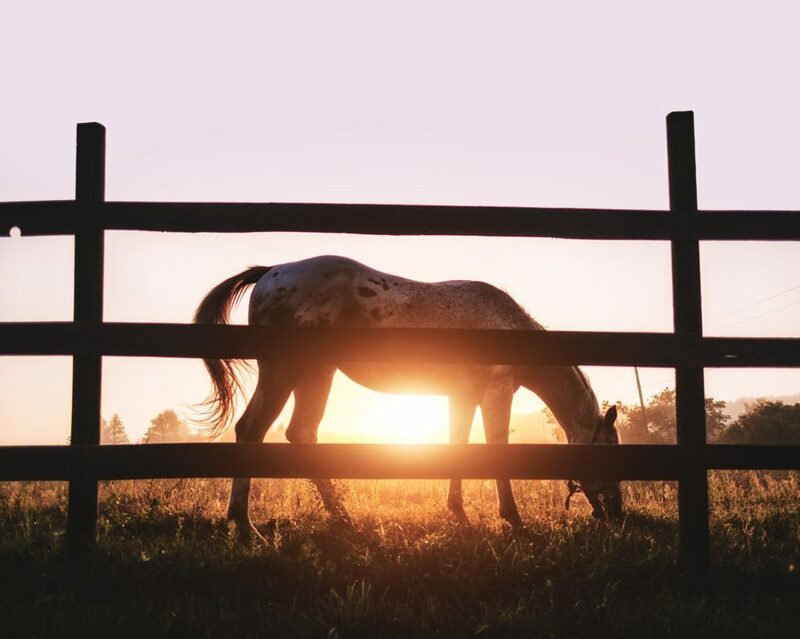 The back window or windows should be large–you can put screens or bars over them so they can be kept wide open without posing a safety issue for your horses. If there’s a dressing room or tack room wall at the back of your trailer, it should have a window, too–otherwise the air from the front gets blocked, preventing a current as you drive. Trailer fans are a smart, simple way to increase ventilation in your horse trailer. Common sense would tell you to point the fans at your horses. The whole point is to cool them off, right? Well, yes–but positioning your fans that way won’t help. Again, it’s all about creating a current of air throughout the trailer. Make sure that your back fans are facing out of the window (in other words, pointing at the cars behind you). That way, the fans will pull air from front to back, cooling your horses as it flows by. I discovered the beauty of horse trailer fans a long time ago. But I had to learn this extra step the hard way. It was July and I was enjoying a hunt trail ride with friends. It was a great day, but we ran late–partly because we caught a horse headed towards the highway before we left–and partly because, well, of course we had happy hour after the ride! When I finally got back to my trailer, my fans had been running for 4.5 hours. How do you think my tow vehicle battery way doing? Yeah, not great. There I was in a town with no cell towers and a dead truck battery. My friend went to fetch my husband several counties away–and I set my mind to getting an auxiliary fan battery as soon as possible. 4. Already Have a Trailer with Poor Ventilation? If you already have a trailer with inadequate windows, you can use fans to boost ventilation–again, just make sure to point the ones that are furthest back out towards the road. You won’t get the same cooling effect that you would with proper window placement, but it can help. If possible, consider adding windows to your trailer. Depending on how it’s framed, a solid dress wall can sometimes have windows added to it. You might also replace your back trailer doors if they don’t have windows. Have questions about choosing or improving a horse trailer ventilation system? Blue Ridge Trailers is always happy to offer our expertise. Contact us online or at (434) 985-4151.